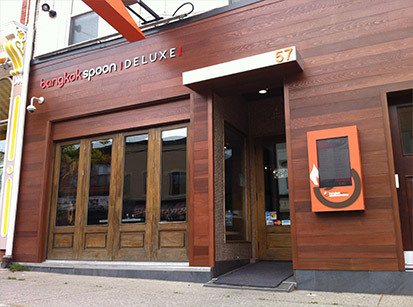 The downtown Dundas landmark celebrated an officially opened Bangkok Spoon Deluxe "Dundas" first authentic Thai restaurant on December 8, 2009. The reborn Bangkok Spoon honours the old legendary Deluxe Restaurant imbued with the rare story of a historic family-owned retail landmark. Neil (Mr. Teeradech Pramauntanyatath), the owner of Bangkok Spoon Deluxe, has been a Thai cook for a long time. He came to Canada in 1994 from Thailand at age 20 to study photography and worked at Young Thailand in the evenings. He was there for almost 7 years where the owner, Wendy Young, taught him most of what he knows. His experience at Young Thailand inspired him to open his own Thai restaurant. Neil and some partners started their restaurant business under the name "Real Thailand" 9 years ago. 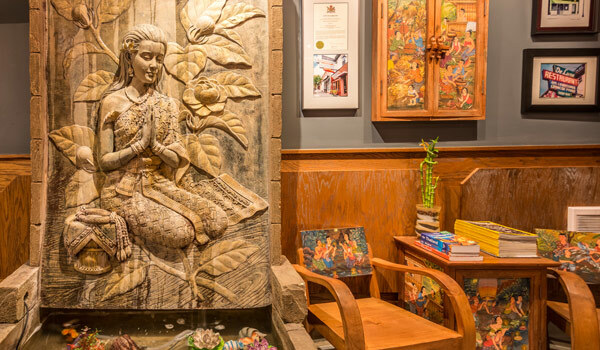 He and his wife Orawan Thaisonthi then opened their own Bangkok Spoon on the Danforth in Toronto. With the charming spell of the most friendly local Dundas people and a peaceful place, Neil, the Thailand native decided to move permanently to Dundas to fully operate Bangkok Spoon Deluxe restaurant. 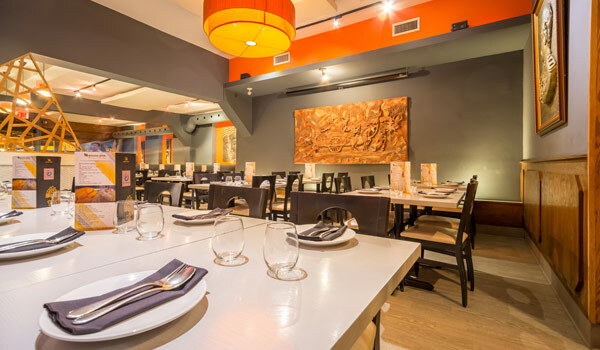 The vast menu caters to vegetarians and meat-eaters alike and take-out, catering and delivery are available. Bangkok Spoon Deluxe sets itself apart from other Thai restaurants with exclusive dishes such as the House Pad Thai Noodles and the Tamarind Pork Ribs.